What do online conspiracy theorists discuss; what are the recurring elements in these conversations; and what do they tell us about the way people think? 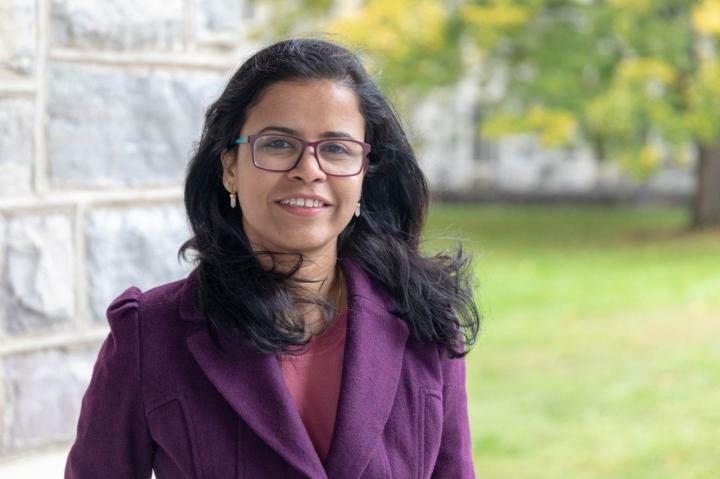 As Tanushree Mitra, assistant professor of computer science and a faculty member at the Discovery Analytics Center, and Mattia Samory, a post doc in the Department of Computer Science, set out to find answers, they turned to Reddit, a social media platform of thousands of smaller communities or "subreddits" connecting users with similar interests. In the r/conspiracy subreddit, Mitra and Samory analyzed more than 200,000 users and 6 million comments over a 10-year period, focusing on the key elements of a conspiracy theory: conspiratorial agents, the actions they perform, and their targets. They will present their research at the 2018 ACM Conference on Computer-Supported Cooperative Work and Social Computing Nov. 3-7, in New York City. "Big pharma," "vaccines," and "GMO" decry corruption of health services while promoting the virtues of a "natural" lifestyle. "U.S. elections" and "email scandal" focus especially on the 2016 elections and include allegations of voter fraud. Distrust in the government is evident in the topic "U.S. Congress and bills," which more broadly discusses policy changes allegedly aimed at harming the public. The nefarious consequences of law enforcement are extreme through the topic "police brutality," which portrays police officers primarily in unwarranted outbursts of physical violence. "NSA Whistleblowers" and "NSA tracking" criticize governmental agencies with three primary allegations: privacy breach through mass surveillance, opinion manipulation through disinformation campaigns, and false flag military operations. "Banks and money" reflect the concern that multinational corporations may circumvent local regulations. "Syria" and the "Israel-Palestine conflict" discuss diplomacy in the Middle East while "Eurozone" discusses how phenomena, such as the immigration crisis, the Greek Depression, and Brexit, may destabilize European politics. Reactions to dramatic events also resonate in r/conspiracy discussion. "Some conspiracy theories on dramatic events remain relevant for decades, as evidenced by the 'JFK. Assassination' topic," said Mitra. Other r/conspiracy discussion is apparent in topics like "Fukushima," "Malaysia Airlines," and "shooting." In particular, topics "9/11 inside job," "WTC demolition," "Australia 9/11 Jews," "9/11 suspects," attempt to frame the 9/11 events as a false flag operation run by Jews, an inside job by the U.S. government, or the outcome of a corporate strategy for profit, among other claims. "By computationally detecting agent-action-target triplets in conspiratorial statements, and by grouping them into semantically coherent clusters, we were able to develop a notion of narrative-motif to detect recurring patterns," Mitra said. A narrative-motif, such as "governmental agency-control-communications," appears in diverse conspiratorial statements alleging that governmental agencies control information to nefarious ends, according to Mitra. Narrative-motifs that focus on minority religions, immigration, war, and globalization all expose perceived threats from the point of view of the "Western world" ingroup. "Country-threatens peace-through military" and "religious group-attacks-population" focus on national and religious outgroups as collective conspirators. These agents perform violent or militaristic actions to defeat a cultural opponent. "Organization-pursues-profit" pictures globalization as a threat to the boundaries that identify a nation. Here, banks and corporations seek profit in a frame of global markets and values to the detriment of their local counterpart. Because leaders have a role in representing public opinion, public trust is a frequent issue in related conspiracy theories. "Political leader-usurps-power" discussions frame powerful political leaders as individuals in a quest for public influence and personal gain. Powerful individuals also appear as conspiratorial agents in the narrative-motif "official-discusses-peer or document." The researchers found that narrative-motifs expose commonalities between multiple conspiracy theories even when they refer to different events or circumstances. References to the 9/11 attacks also allude to larger-scale conspiracy theories involving the U.S. government, foreign intelligence, and religious groups. The topic "climate change" suspects that environmental phenomenon is a machination of lobbying academics and governments. "Adopters of one-conspiracy theory typically believe in more than just one. For example, anti-vaxxers often discuss GMO conspiracy theories," Samory said. "This research suggests a way to find which conspiracy theories are related by uncovering their common narratives. "Our study also suggests that alternative media spreading conspiracy theories appear to better align with anti- and pro-globalism than with left- and right-leaning political ideologies," he said.